My friend Paige took the Easy, Effective, Enjoyable, idea a step further. What do you think? 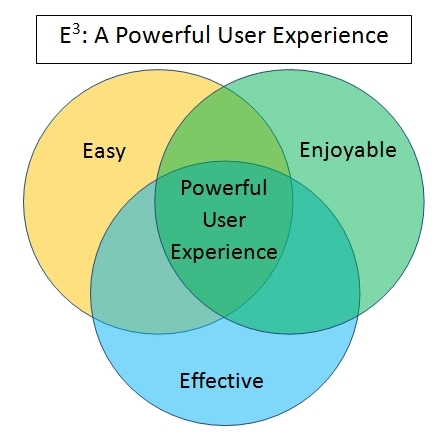 Does “Powerful User Experience” adequately describe what we want for our staff, employees, friends, family, etc.? Think of how this might apply to Hiring. Or Orientation. Or Training. Or software design. Or church! This entry was posted in Beginnings, Training on August 10, 2014 by Tony Dye.